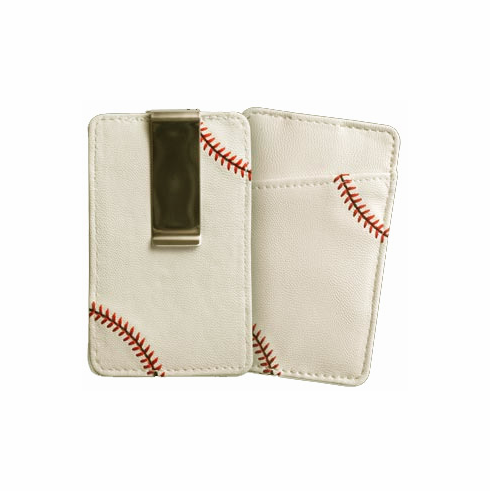 These baseball money clips feature a clip one one side and a pocket on the other. Fits easily into any pocket. Made with authentic baseball material - a really high quality synthetic leather that is durable and soft...very realistic looking and feeling. Embroidered stitches on front and back. This money clip measures appx. 4 1/4" x 2 5/8" x 1/4".